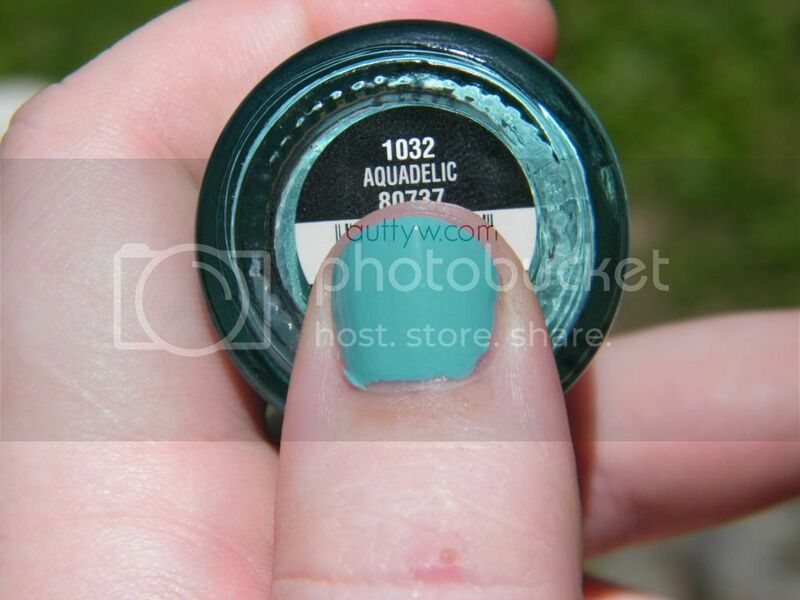 Today I have swatches for you of Aquadelic. It's from China Glaze's Electropop 2012 collection. I found this polish at Sally's on clearance for $3.29, which is an amazing price. You may think that this polish looks mighty familiar. No? Well I did, so I went to Google. 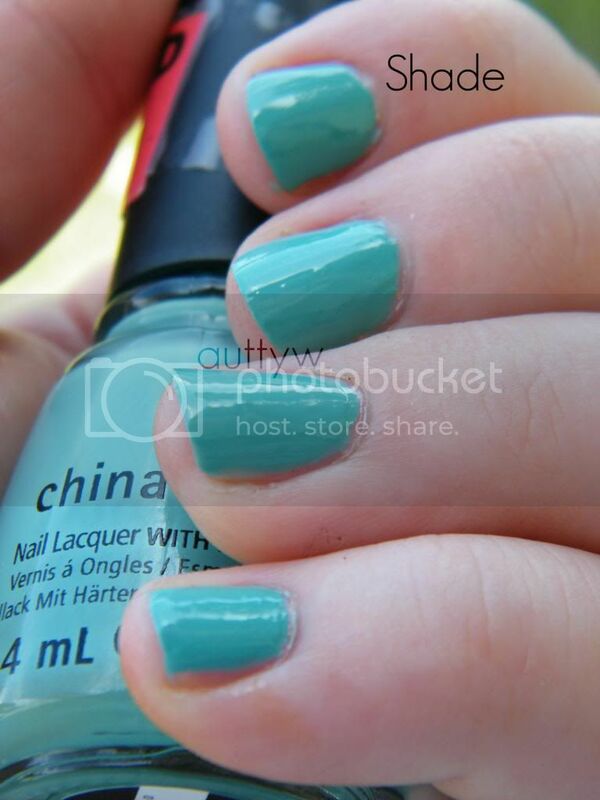 It turns out that Aquadelic is a pretty close dupe of China Glaze's For Audrey. The only difference is Aquadelic is brighter. Aquadelic is a bright, pale turquoise cream polish. It's absolutely gorgeous. I had NO problem at all using this polish. It applied smoothly and dried quickly. 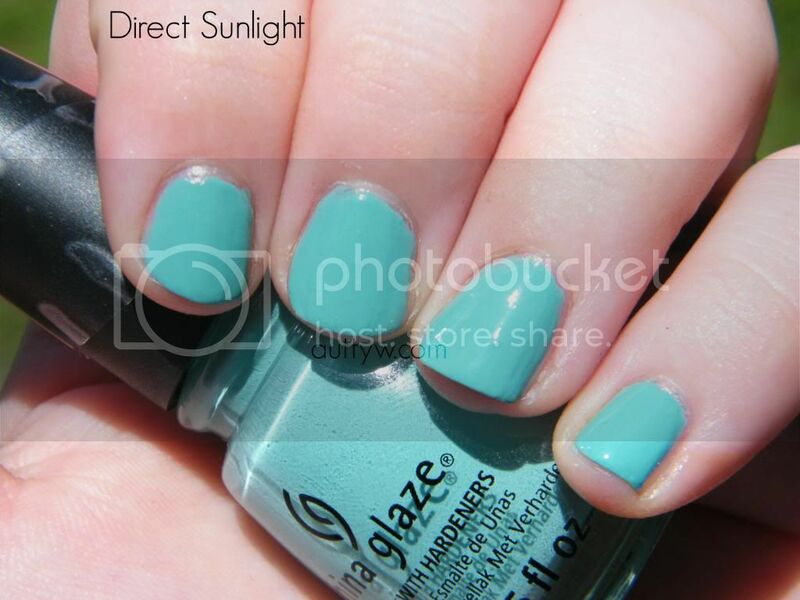 I really like this polish and it's definitely something that is perfect for Spring or Summer. If you have For Audrey you don't need to search for this polish, you definitely don't need both. Me being me, I kind of want to get For Audrey just because I can. What do you think of this polish? Definitely something to go out and look for? It is beautiful. I toyed between this and For audrey but I love how bright this is. I love these bright teals! I can't own enough.